I updated something on this blog (still not sure what, did it late last night) and now things are going wrong. Why does technology always do that. When it works right it's fantastic but when it doesn't it is a real pain. Hopefully this post will be all right. I posted this morning but it wasn't right so I deleted it and have had to sort it out after work so here goes. This is my entry for Lothian Crafts Challenge #2. It is a sketch. 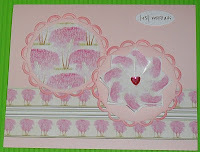 I have used the Crafter's Companion download for May which is free to club members. I cut the circles from my Nellie die, the sentiment is from Craft Works Cards and the base card is from a 12 x 12 Papermania textured card pack. I wasn't too sure about this card last night but when my daughter saw it this morning she said it was 'gorgeous' (this is her new word for beautiful apparently). I am also entering this card into IACCCB #9 - monotone. Great card lovely colours. Good luck with the challenge. I agree with your daughter, gorgeous! I aggree with your daughter Poppet your card is gorgeous, I love all the pretty pinks and the fabulous flower you created. 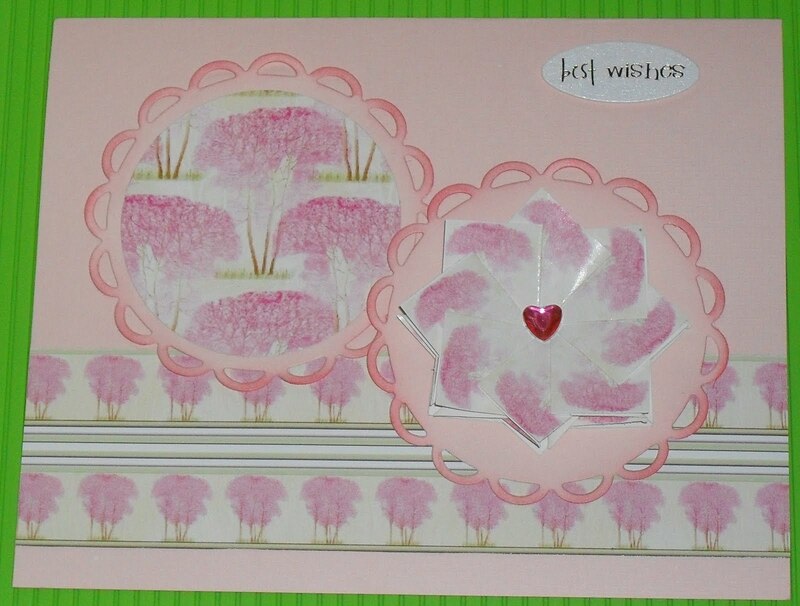 Very pretty card, I love the colours and the paper folding looks great inside the nellie circle. i agree with your daughter, it is gorgeous! this dimensional flower!! the colors! well done and god job!! Such a pretty card! I love the flower you created!! Love the pinks! I too love the card - gorgeous is used more so these days from American tv I think. 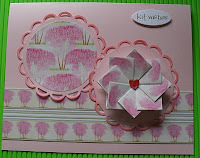 Poppet this is very pretty card. Thx for all yr lovely comments on my blog. Love reading them. She's right, it is a beautiful card hun! Thanks for sharing with us at IACCCB this week.